NIRT Recruitment 2018 2019 Application Form for 03 Senior Research Officer, Project Technician III (Lab Technician), Junior Project Research Fellow Posts Download Application through Official website www.nirt.res.in. NIRT SRF, JRF, Project Technician III Jobs Notification 2018 Released. 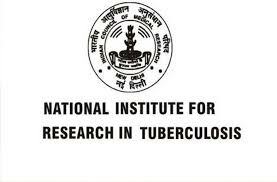 NIRT invites Walk in Interview for appointment in following SRF, JRF, Project Technician III post in National Institute for Research in Tuberculosis. Candidates are requested to Download Application through Official website www.nirt.res.in. Prospective candidates will have to before Walk in Interview carefully reading the advertisement regarding the process of examinations and interview, eligibility criteria, Offline registration processes, payment of prescribed application fee/intimation charges, NIRT pattern of examination, NIRT Syllabus, NIRT Question Paper, NIRT Walk in Date, NIRT Result Date etc. 1. Senior Research Officer - Master’s degree in Life Science or M-Tech in Biotechnology with one year research experience in the related field. 2. Project Technician III (Lab Technician) - 12th pass in science subjects with any one of the following: (i) Two years Diploma in Medical Laboratory Technology or (ii) One year Diploma in Med Laboratory Technology with one year laboratory experience in a recognised organization/institution or (iii) Two years laboratory experience in a government recognised organisation/institution. creamy layer/non-creamy layer certificate as per Govt of India guidelines) and a fee of Rs.100/- (drawn in favour of Director, NIRT, Chennai) in the shape of demand draft from any Nationalized Bank. The original of the attached documents should also be carried with for the purpose of verification. SC/ST, physically disabled candidates and women candidates are exempted from payment of fees subject to production of valid certificate.